An architectural rendering shows the Wynn casino project in Everett, on 33 acres overlooking the Mystic River. Boston-based Suffolk Construction Co. has landed the $1 billion contract to build the Wynn Resort casino in Everett, one of the largest private construction contracts ever awarded in the state and a deal that’s expected to generate thousands of jobs over the next two years. Wynn Resorts Ltd., which in 2014 won the sole license to build a full-scale casino in Eastern Massachusetts, initially contacted more than a dozen major construction companies across the country, according to a spokesman. The company whittled its options down to a few finalists before settling on Suffolk, citing its pledge to pay close attention to detail and to meet its timeline. The casino is scheduled to open by the end of 2018. The deal is a coup for Suffolk, which with roughly $2.5 billion in annual revenue is already the state’s largest construction company. Wynn called the casino the “largest private single-phase construction project in the history of the Commonwealth of Massachusetts.” Suffolk also said this is the largest single contract it has received in its 33-year history. 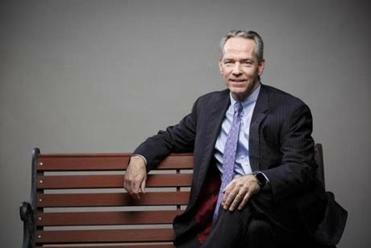 Suffolk Construction CEO John F. Fish says the firm will rely on union and minority firms. To help pave the way for the deal, Fish quietly flew to Las Vegas to meet with billionaire casino magnate Steve Wynn, the chief executive of Wynn Resorts , after the company won a Massachusetts gambling license in September 2014. The construction company is already well known in Boston, where it has handled a number of high-profile projects, including the Mandarin Oriental hotel, Four Seasons Hotel Boston, Liberty Hotel (formerly the Charles Street Jail), and the Boston Opera House. In addition, Suffolk has worked on casinos in other states — including Dania Casino and Jai Alai in South Florida and Quechan Casino Resort in Southern California. Suffolk also was one of the construction companies involved early on in a rival casino proposal, at Suffolk Downs on the Boston-Revere border — before Wynn beat out that project and secured the sole casino license that was reserved for the region. Fish said it was not certain which construction company would have won the final contract for the proposed Suffolk Downs resort, had it won the gaming license instead. The $1.7 billion Wynn resort is expected to include a luxury hotel with more than 600 rooms, along with gambling halls, a spa, spaces for retail and dining operations, a ballroom, and meeting space — totaling about 3 million square feet. The design features a 24-story curved glass tower and a boardwalk on 33 acres overlooking the Mystic River. Its campus would be about 70 percent of the size of Boston Common. Wynn Resorts estimates the project will create 4,000 union construction jobs in addition to 4,000 permanent jobs once the resort opens. Fish said that Suffolk plans to rely on its existing relationships with local union contractors and subcontractors in the area, including minority businesses. “I think that brings added value,” he said. Wynn has already started environmental cleanup of the site and expects to break ground sometime in the spring. The project won a key environmental permit in August after the state was persuaded that it has adequately addressed traffic and environmental concerns, though it still must win more specific permits as the project progresses. A spokesman said the initial permitting is on track, paving the way to the scheduled opening in late 2018. Wynn’s company has continued to face lingering concerns about the impact the project could have on already-congested roads in the area. A judge struck down the City of Boston’s legal challenge to the resort project late last month. But city and casino officials have since held talks to try to resolve the city’s concerns. In addition, there are uncertainties about precisely how much tax revenue the casino would generate. 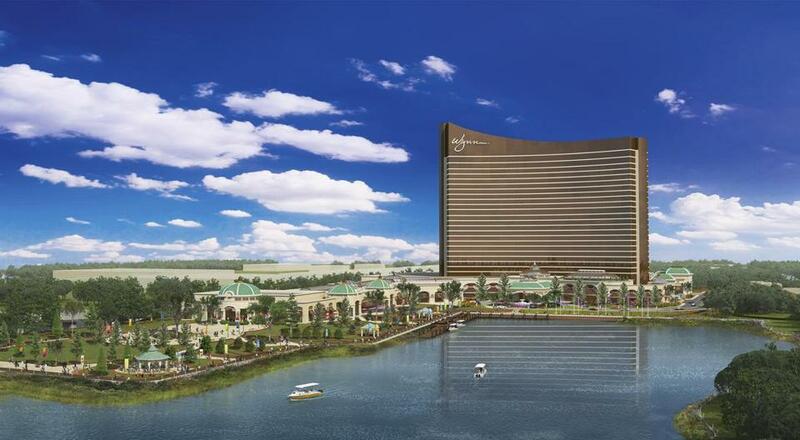 Wynn projects that the resort will generate $260 million in annual tax revenue for the state. But gambling revenue at Plainridge Park Casino in Plainville, the first slots parlor to win approval in Massachusetts, has fallen short of initial predictions as some players decided to bypass it for a larger casino nearby in Rhode Island. Still, while Plainridge is limited to slot machines, the Wynn facility will be much larger and include full table games and other offerings to attract gamblers and other patrons. Wynn also has a track record of operating large luxury casinos in Las Vegas and Macau.